In China, the giant panda is clearly a cultural icon. And yet panda conservation, and the panda itself, is often criticized because of the associated cost. But an analysis reported in Current Biology on June 28 shows that panda conservation has great value that extends far beyond protection of pandas themselves. According to the new findings, the panda's protection as an umbrella species yields 10 to 27 times as much value as it costs to maintain the current reserves. In fact, the findings suggest it might be worth expanding those panda reserves and other investments in natural capital in China. "Many detractors have argued that spending valuable resources on panda conservation is wasteful," says Fuwen Wei of the Chinese Academy of Sciences. "Our analysis contradicts this view and demonstrates clearly the great value of the panda, both for its cultural and intrinsic value and for the ecosystem services provided by panda reserves." Between 1990 and 2010 China's National Conservation Project for the Giant Panda and Its Habitat (NCPGPH) doubled panda habitat. 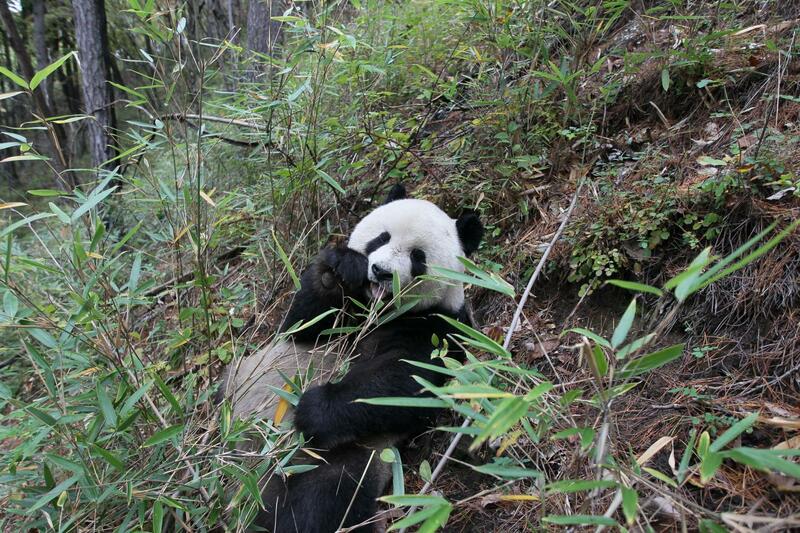 By 2010, a total of 67 panda reserves with an area of more than 33,000 km2 had been established, covering more than half of suitable panda habitat. The question in the new study was: what is that worth? To find out, Wei and colleagues used the Common International Classification of Ecosystem Services framework. Ecosystem services include three parts: provisioning services, regulatory services, and culture. Panda reserves offer a variety of provisioning services that are valued by local people such as growing crops, grazing animals, procuring water supplies, and harvesting firewood and useful plants. Important regulatory services include the hydrologic benefits of managing precipitated water runoff, sediment retention, carbon sequestration, nutrient retention, and more. To explore the value of pandas and their reserves, the researchers reviewed each of the regulating, provisioning, and cultural services associated with panda reserves, collating estimates of the value of each from numerous studies. They then converted all those estimates to US dollars and used the median value for each to generate a combined estimate of the annual per-hectare value of panda reserves. That exercise led them to a median estimate of US$632 per hectare per year. After multiplying that per hectare per year value by estimates of forest area within the 67 panda reserves, they came to a value of US$562 million per year in 1980. By 2010, the value of ecosystem services of the panda and its reserves had increased to somewhere between US$2.6 and US$6.9 billion per year. "Now, we know that the system of reserves and protections [for pandas] are working to reverse the panda's decline and that these efforts have benefits for society and nature at large," Wei says. "This should provide added motivation for people to continue backing panda conservation to bring about the eventual recovery of the species." The researchers say that this encouraging news provides justification not just for efforts to preserve the panda, but for other endangered species as well. This work was funded by the Ministry of Science and Technology, Chinese Academy of Sciences, the Creative Research Group Project of NSFC, and the Sichuan Forest Department and State Forestry Administration.